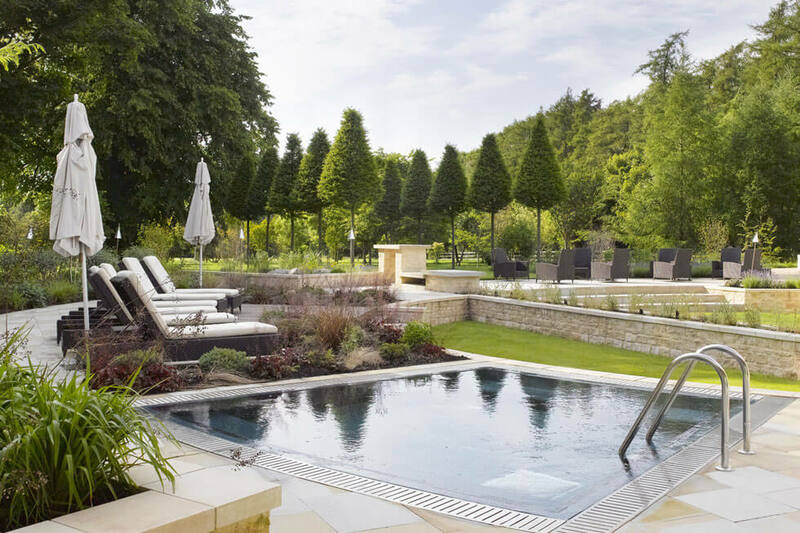 Lucknam Park is a place to unwind and indulge, a beautiful 5 star country estate complete with an award-winning spa, the Michelin starred Restaurant Hywel Jones, a separate brasserie, a cookery school and an equestrian centre. 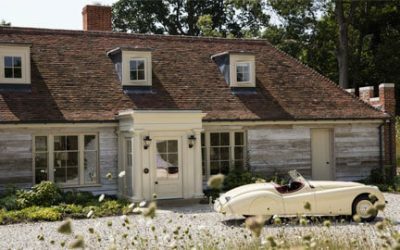 All set in 500 acres of verdant Wiltshire countryside just two hours from central London. Luxuriate in the 42 elegant suites and bedrooms, dine in spectacular surroundings with exquisite cuisine or blast away the cobwebs with some high-octane activities in the estate and surrounding area. 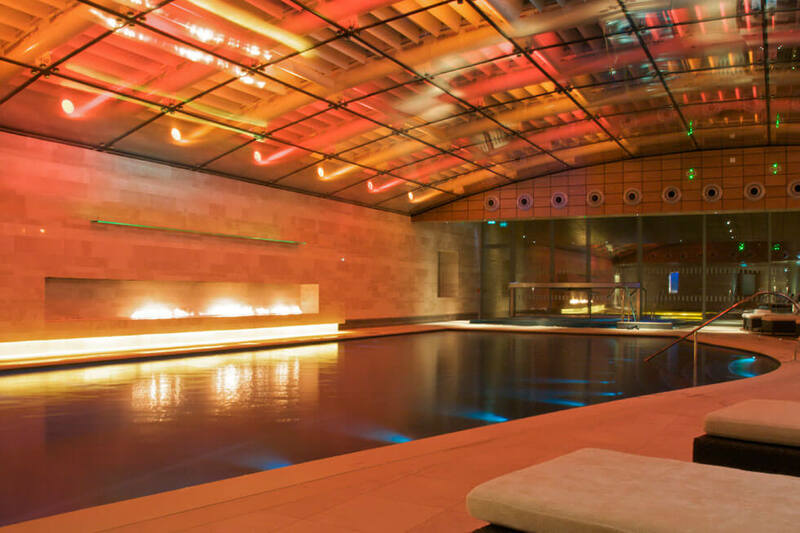 The spa is renowned as one of the most beautiful in the UK with superb amenities and skilled therapists on hand to soothe and restore mind and body, and the extensive leisure amenities include a gym, two tennis courts and a five-a-side football pitch. 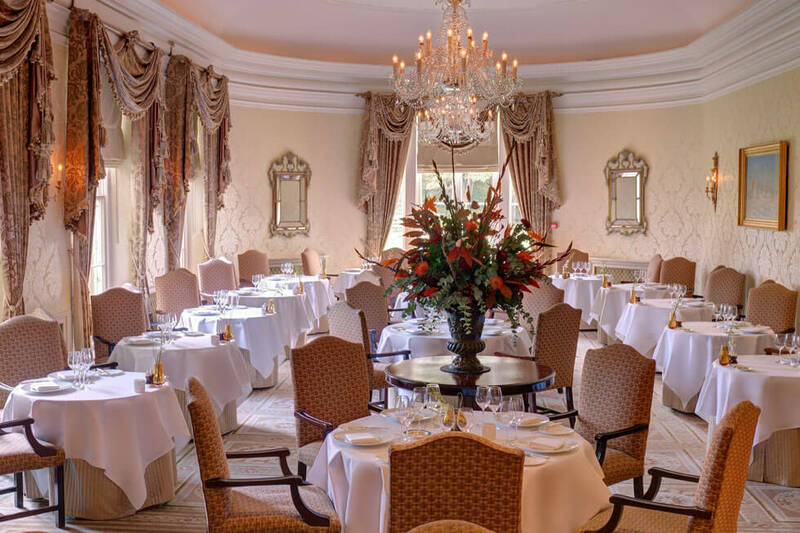 Whether you are looking for an action-packed getaway or to simply enjoy gourmet dining, fine wines and beautiful surroundings, Lucknam Park has it all. 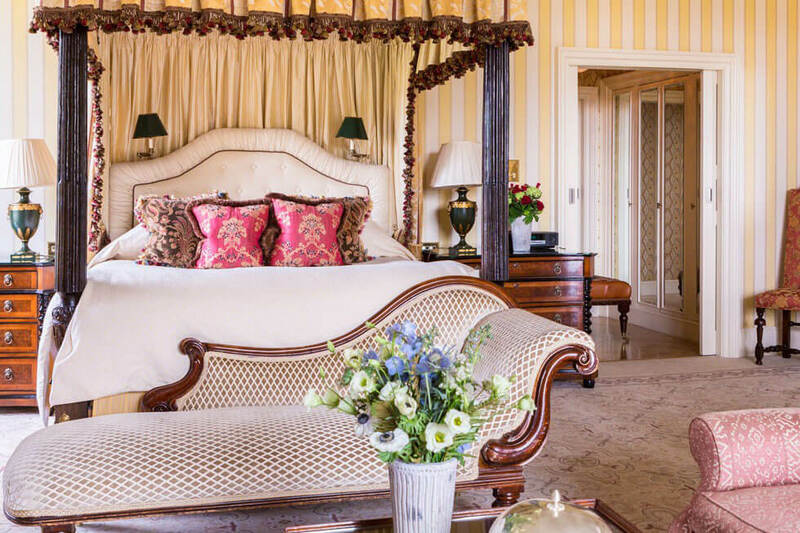 Approached via a mile long idyllic avenue lined with gently swaying beech trees, your first glimpse of this honey-hued Palladian mansion gives a hint of the joys of country house living to come. 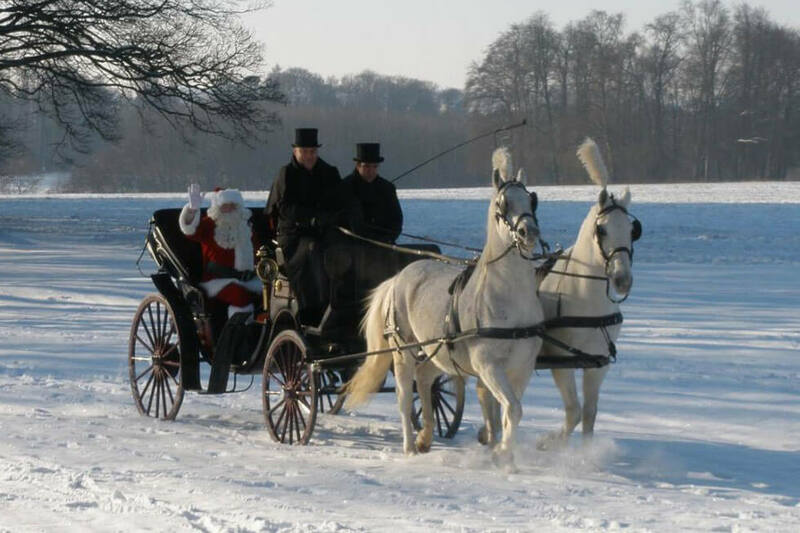 The magnificent house dates back to 1720, surrounded by 500 acres of verdant parkland with glossy horses gently grazing nearby, you could be forgiven for thinking you’ve arrived in a Jane Austin novel. 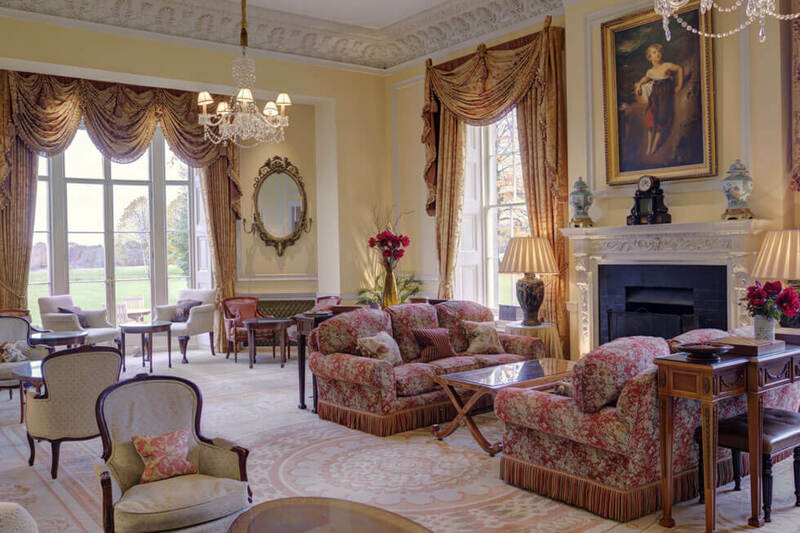 Lucknam Park is the ultimate luxury country house party venue. 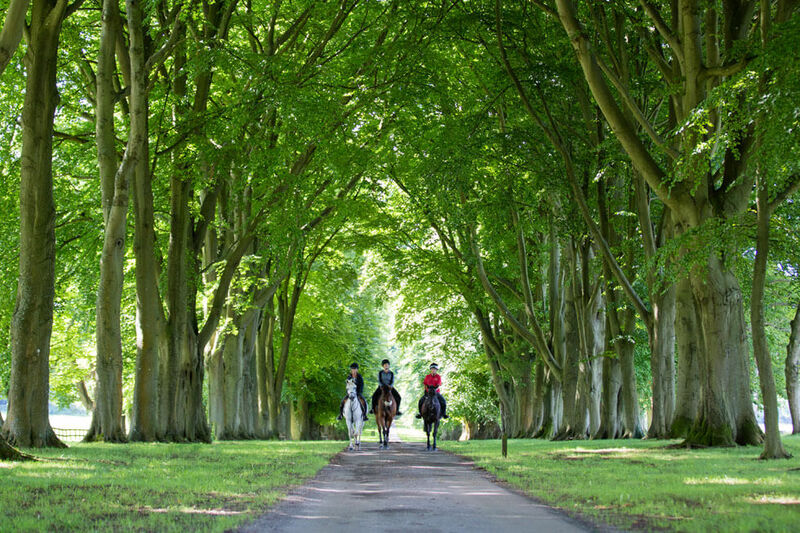 A place for kicking off muddy boots after an invigorating hack around the estate, taking a dip in the luxurious spa pool as the mist rolls through the fields, for fine food and wine in the Michelin starred restaurant or relaxed fireside brunches in the brasserie if you’d rather. 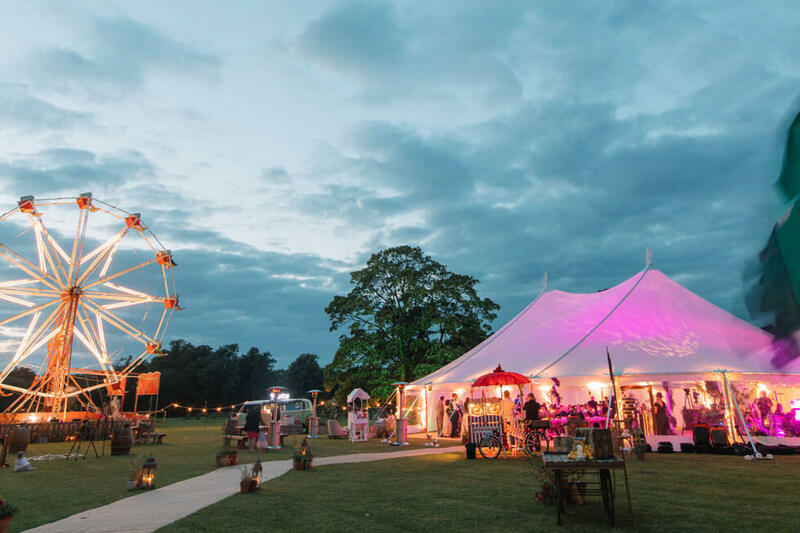 Or if a huge gathering with a marquee and lavish entertainment is more your style, that can be arranged too, your wish is our command at Lucknam Park! 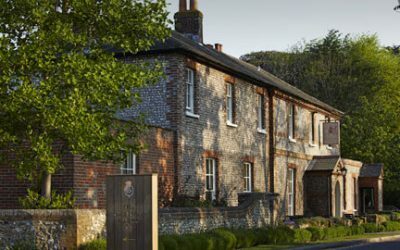 There are 42 bedrooms in total, located either in the main house or the beautiful courtyard, just 200 metres from the house. 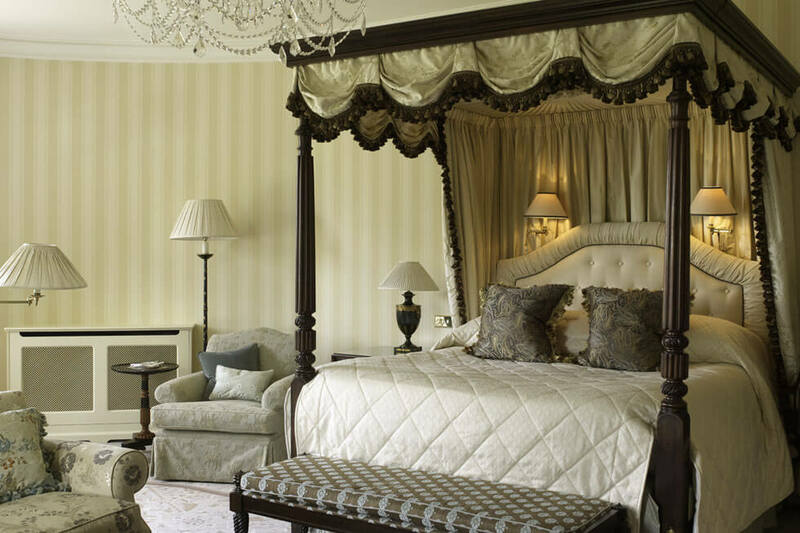 Rooms offer elegant antique furnishings and hand made linens, and are all individually designed. All bedrooms feature complimentary Wi-Fi, luxurious Egyptian cotton bed linen, supremely comfortable mattresses, flat screen TVs with DVD players, Ruark DAB Bluetooth Digital Radio, safe, hairdryers, bathrobes and slippers, and bathroom amenities by ESPA. Room service is available 24 hours a day. 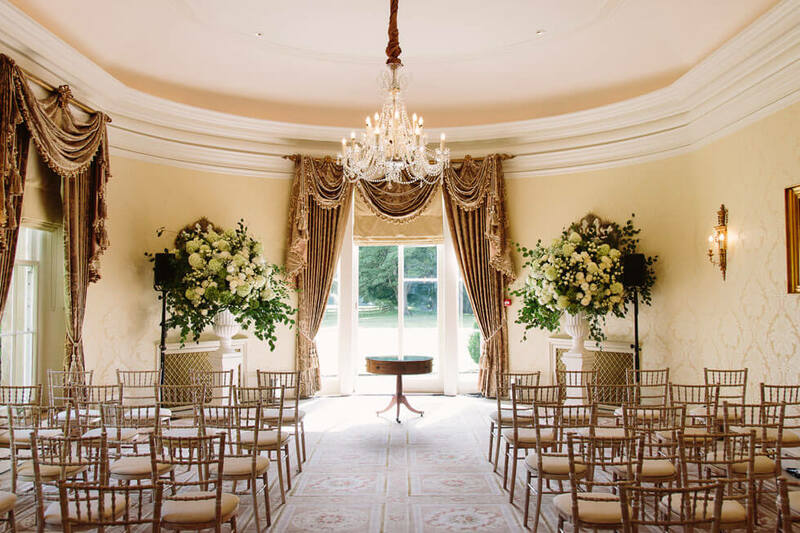 Explore photographs of Lucknam Park here, with a selection of images showing the exterior, interior rooms and bedrooms, along with the extensive leisure amenities, beautiful grounds and the surrounding estate of this amazing country house venue. 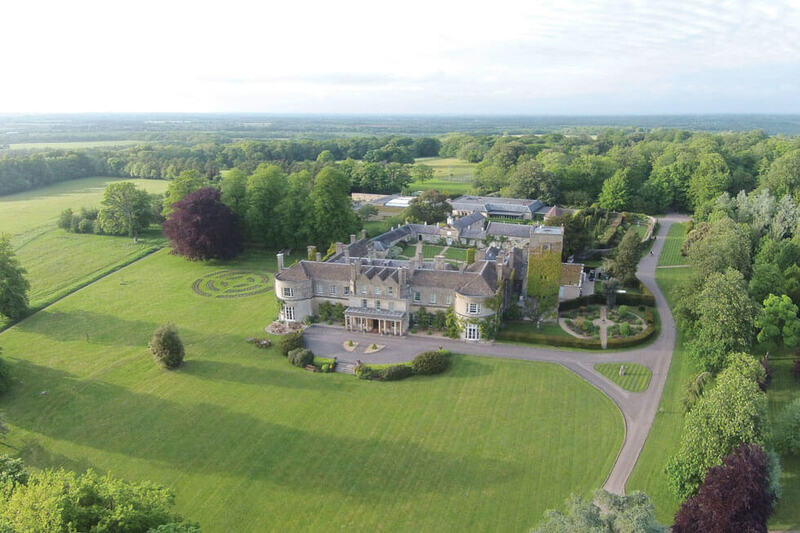 Find out more about prices to hire this magnificent property, available as an exclusive use venue on a fully staffed basis, or alternatively available for private dining and meeting room hire with overnight accommodation, and day and 24 hour delegate rates are available. 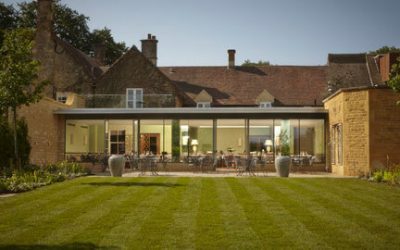 There are four meeting and private dining rooms at Lucknam Park seating up to 30 guests for private dining or 50 theatre style. 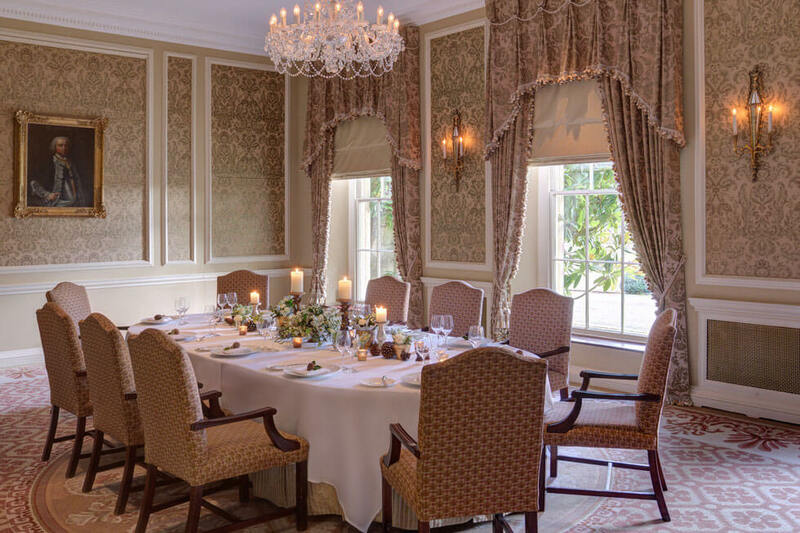 Should you book the estate on an exclusive use basis, you will enjoy private use of all of the main house including the Michelin starred restaurant seating up to 80 guests, the Drawing Room and Library, along with all of the meeting rooms and bedrooms.